New users can be added to salon one of two ways. 1. Share the salon URL with the intended users (they must have created a general salon account first) – see image below. 2. 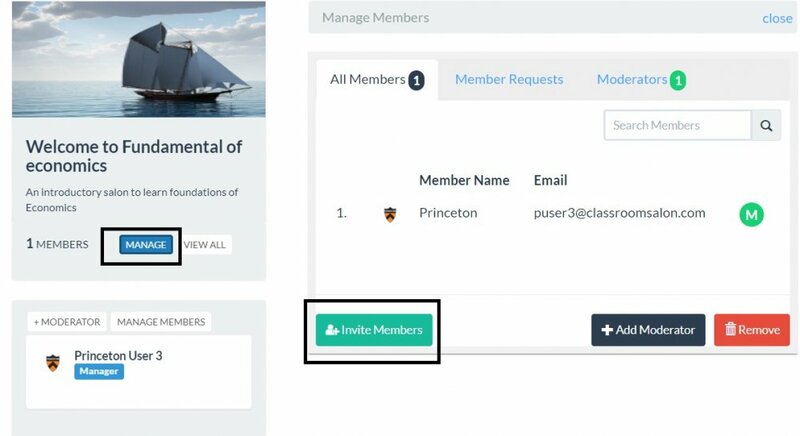 Invite them to join your salon (after they have created a general user account) – see image below.